Georgia Vocational Rehabilitation Agency | The right talent for the right job. The right talent for the right job. A second GVRA cohort is participating in this University of Georgia Carl Vinson Institute Program. This meeting will be held in Macon. The location will be announced at at a later date. Emily Stearns is eager to be placed on a job in a healthcare setting where she can demonstrate her many assets which include reliability, motivation to learn, organizational skills and compassion for others. She has completed work readiness training at Goodwill, and she is ready to start her career! If you are an employer interested in connecting with Emily, contact Communications@gvs.ga.gov. 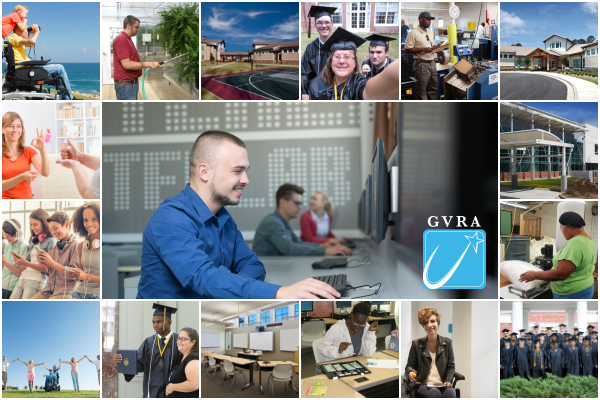 We at GVRA are committed to providing as many avenues as possible for people with disabilities to receive vocational rehabilitation services. Contact your local office to request services. Due to anticipated inclement weather Friday, 4.19.19, Georgia Industries for the Blind in Bainbridge will be closed. Please see below for the April 2019 edition of the GVRA monthly newsletter. As always, if you'd like something included please email John.Boan@gvs.ga.gov. Jennifer Howell has recently earned a promotion to Assistant Director of the WIOA Compliance and Policy Unit, where she oversees all aspects of Vocational Rehabilitation (VR) client services policy and directs VR training staff.